BH Fitness Prisma M80 Treadmill is a dual folding residential treadmill and is driven by a 4 HPP motor, having a maximum speed limit of 22 kmph. This model is very similar to the Prisma M60. Wireless pulse measurement, Exclusive Plug&Run system, elastomers cushioning system enhanced by PCS technology to prevents muscle and joints injuries, wider running space are some of the features of this treadmill. The latest cost of BH Fitness Prisma M80 Treadmill G6158 will be updated soon. *Note: Most of the sites, stores or shopping portals listed above sell BH Fitness Prisma M80 Treadmill G6158 with discounts and other exciting offers. 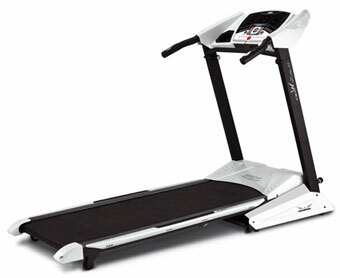 There is a possibility that the some of above websites are not selling BH Fitness Prisma M80 Treadmill G6158 now. Toughtrain.com is not liable for such cases or instances. Also we do not recommend any seller for BH Fitness Prisma M80 Treadmill G6158 and a buyer should buy from where he/she gets best deal with quality of products, service and on time delivery (shipment).